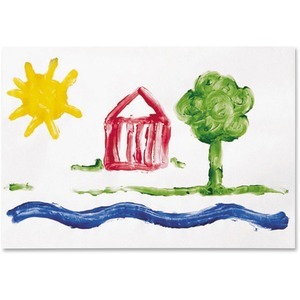 Glossy white paper for finger painting is extra strong, coated on both sides and nonabsorbent. The smooth bright surface resists running, smearing and bleeding. Recycled paper is recyclable. Sheet Size 22" x 16"